So put simply, enrichment, is what you can do or provide your pets with, that they will value and it will make their lives more rewarding and fuller. Social enrichment is any interaction without conflict either at a distance or up close that the animal/s have enjoyed. It can be between both animals of same species and different species. Life enrichment is allowing your pet to do normal species specific behaviours. This could be digging, sniffing or rolling for dogs, scratching for cats, chewing for birds & burrowing for rats and mice etc. Training enrichment is basically just that. 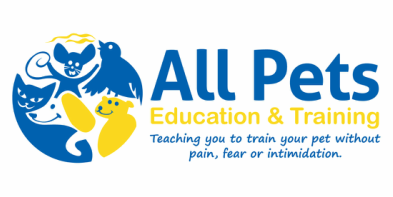 Through training we can communicate with our pets and teach them to perform and repeat the desired behaviours, rather than continue performing the less desirable behaviours. For example - teaching your dog four paws on the floor rather than jumping up. Training is also great for providing both physical and mental exercise for our pets. Environmental enrichment involves adding things to an environment to make it more rewarding for an animal. These can include food puzzles, toys, sand pits, foraging trays and so much more.